Monuments & Statues, based in Kingston, Ontario, combine traditional folk/classical instrumentation with quirky songwriting to produce an eclectic yet familiar hybrid-genre sound. "Oh Great Rose!" features heavily intertwined vocal harmonies backed by rhythmic banjo and the eventual buildup of layered cello. 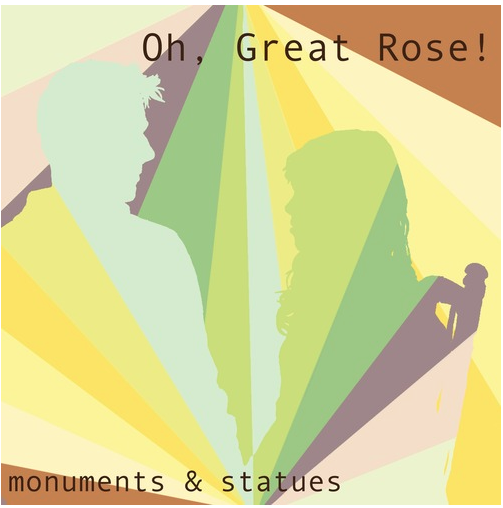 Written in the midst of personal upheaval, "Oh Great Rose!" is a breezy number with a folksy figure, reflecting the vulnerability of love. Monuments & Statues' overall sound owes much of its influence to vintage Mother Mother, Sufjan Stevens, romantic era classical music, and Simon and Garfunkel.